Bridges in Mathematics, 2nd Ed. Problems & Investigations prompt students to think independently about a teacher-posed problem and to share and evaluate strategies to reach a solution in whole class and partner discussions. Work Places are station-based activities that engage students in games and other activities that develop and practice new skills. 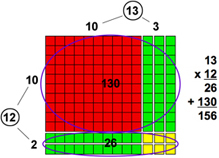 Number Corner is a calendar-based skills program of short daily activities (20 minutes) that promote understanding of key concepts and develop computational fluency. Each component includes engaging, age-appropriate content, resources for intervention and support, as well as enrichment activities. The use of increasingly complex visual models and hands-on instructional tools moves students from the understanding of concrete concepts to more abstract thinking about mathematics. Family resources help parents understand learning goals and engage parents as partners in supporting students’ home learning. Educators enjoy sharing their experiences working with this program: see video here. 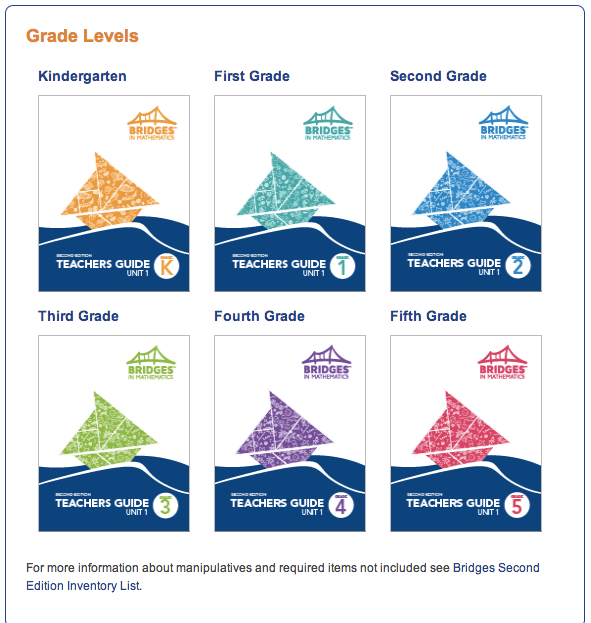 At each grade level, Bridges focuses on developing students’ ability to reason mathematically, communicate their reasoning, model with mathematics, and critique the reasoning of others. Educators who provided feedback about Bridges to Learning List said the product helped them create classroom cultures in which students work independently and interact positively when discussing problem-solving strategies with classmates. Educators stressed the importance of using teacher resources and overviews to plan and guide daily instruction. They said that teachers needed to trust Bridges’ sequencing and pacing of instruction, explaining that instruction is mapped to how students learn mathematics and activities build on one another to ensure deep understanding of content.